Yudanaka Onsen is the area around Yudanaka Station. It has hundreds of years of hot spring history but has been a bit modernized these past few years. 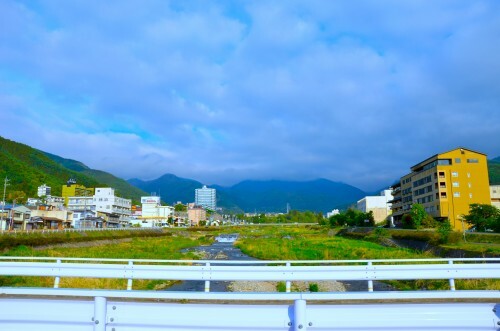 Due to this modernization, Yudanaka Onsen is likely the more convenient location to stay when coming the snow monkeys at the Jigokudani Monkey Park. 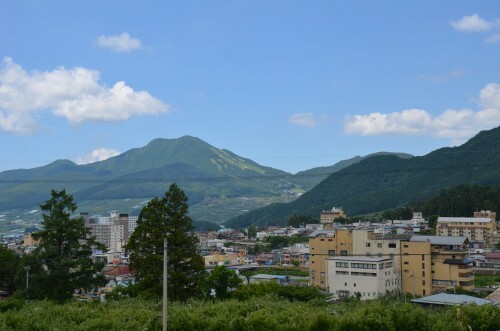 With convenience stores, a drugstore and bars there are plenty of other things to do and see besides the onsen. 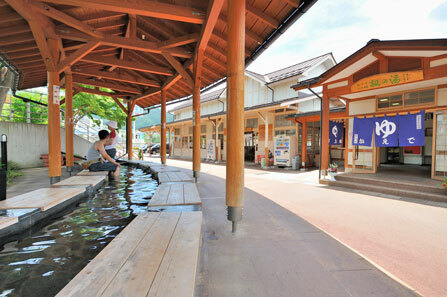 If you are not yet feeling up to entering an actual hot spring with other people, then the free foot bath using hot spring water right behind the station might be the option for you. Also, if you would like to make use of an onsen, but are not quite sure about the etiquette, please look here! From Yudanaka Station all hotels can be reached on foot, but some might provide free shuttle service.